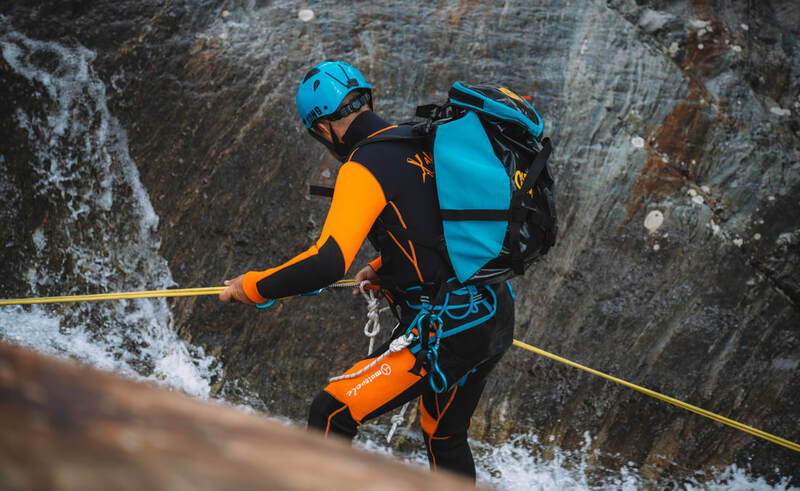 Canyoning or canyoneering is travelling in canyons with a variety of techniques such as walking climbing scrambling jumping, repelling and swimming. It’s frequently done in remote and rugged settings. We run canyoning expeditions from April to October. These activities can be either found on our summer programme, or if you are a group of 5 or more we can arrange a private expedition. 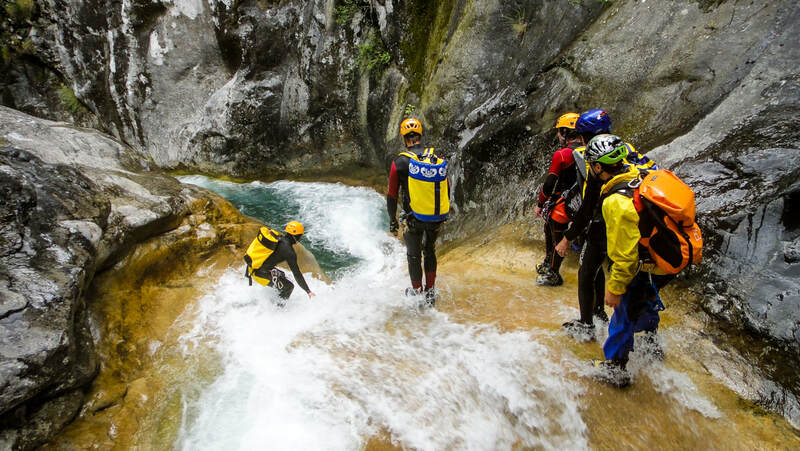 This trip offers a unique experience crossing canyoning and caving. The canyon you will visit has been eroded out of serpentinite rock which is similar to soap stone in appearance and shimmers green making these canyons very rare indeed. The river is now tamed by two dams, but there are still some challenging abseils and chest deep navigations to enjoy. Our trips are divided in two parts similar in difficulty and duration but different technically. Duration 4 hours for Part 1 and 2 with rapid falls of up to 25m. We will access the canyon at an altitude of 1800m, close to artificial lake of Campo Moro. C O R M O R from KODAMA on Vimeo. We’ll travel down the beautiful river situated near Lake Como. This trip is suitable for beginners, but also a fun experience for those who already have experience of canyoning. 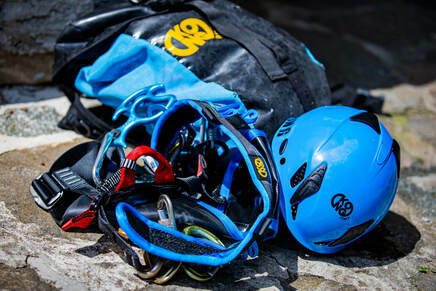 Perhaps one of the most beautiful canyoning experiences in Italy, this trip is divided into three different levels testing your technical effort and conveniently arranged in sequence by Mother Nature. Resting point and meeting: Pincee stopover in Val Bodengo or Bar San Martino in Gordona. Average endurance: Ideal for children, families, and groups celebrations including hen/stag parties. Average endurance: Intermediate level. Includes exposed sections and rapid falls of up to 23 m. Participants must be strong swimmers and already have experience of canyoning. Trip duration: 7 – 8 hours. It is possible to complete a shorter route if requested. Average endurance: Experienced. This trip includes 32 to 60m rapid falls. Canyoning in Val Bodengo 2017 from KODAMA on Vimeo. The canyon found here is easily accessible at just a few kilometres from Sondrio, lateral to the valley of Valtellina and parallel to the basin of the River Adda. Technically, this trip is relatively easy and just a little bit longer than the Bodengo 1 trip, but has a few more exposed stretches with a maximum of 25m falls, and tackles some strong currents. This trip lasts for 3 hours. For all those who have a lust for adventure and the great outdoors. It does not matter whether you are a beginner or a semi pro, what counts is to have fun in safety. Children from 10 years and older are welcome to join us. Children under 18 must be accompanied by an adult. For longer routes bring a small snack we can carry in waterproof tins. If you have one bring along a waterproof camera or Go Pro. It’s possible to rent a GoPro but please bring your own micro SD card. We have extensive knowledge of the local canyons and can ensure you have a fun and safe experience with us.